The iBooks Author Conference is an annual gathering of the user community of Apple's iBooks Author digital content creation software, including educators, creative professionals, marketing professionals, entrepreneurs, corporate trainers, self-published authors, and many others. 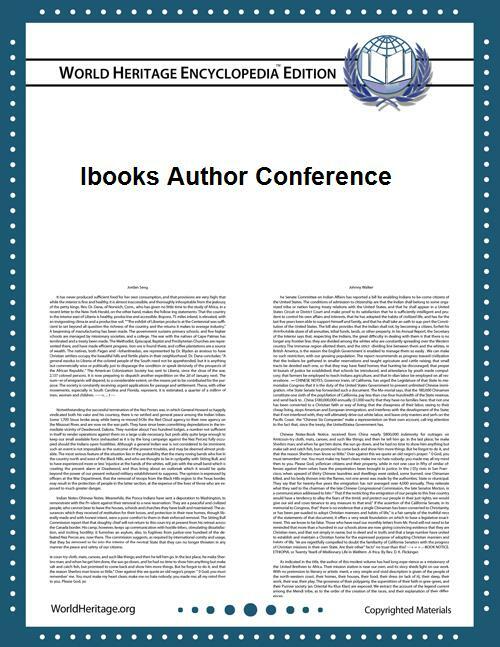 "The iBAs," the awards recognizing achievement in iBooks Author production, were part of the iBooks Author Conference and recognized books and individuals from around the world. The 2015 Conference took place at the Country Music Hall of Fame and Museum in Nashville, Tennessee with Apple, NASA, Southwest, HCA, and other large companies in attendance. The 2016 iBooks Author Conference will also take place in Nashville Oct 6-7, 2016. Keynote speakers for the inaugural iBooks Author Conference included Kelly Gabrysch, Director of Digital Publishing at Trailer Park Los Angeles, Dr. Julia Maurer of Mercersburg Academy (PA), and the co-creators of The Mozart Project, an interactive book created used iBooks Author. ^ "iBooks Author Conference: October 8th & 9th – Nashville, TN". Class Tech Tips. Retrieved 19 October 2015. ^ Chris Well. "Media from the 2015 iBooks Author Conference". DIY Author. Retrieved 19 October 2015. ^ "iBooks Author Conference 2015". Storify. Retrieved 19 October 2015. ^ info@hon.jp. "米国で第1回「The iBooks Author Conference」開催、日本のアニメ原画集「セロ弾きのゴーシュ 資料集」が受賞". hon.jp. Retrieved 19 October 2015. ^ "iBooks Author » Tag Archive » Copy / Paste by Peter Pappas". peterpappas.com. Retrieved 19 October 2015. ^ "IBooks Author Certification - Savvy Book Writers". savvybookwriters.com. Retrieved 19 October 2015. ^ Ayumi Fukuda Bennett. "Apple, NASA, Southwest headed to Nashville for iBooks Author Conference". SouthernAlpha. Retrieved 19 October 2015. ^ "iBooks Author Conference 2016". Eventbrite. Retrieved 19 October 2015. ^ "The iBooks Author Conference - October 8–9 - Nashville, Tennessee". The iBooks Author Conference - October 8–9 - Nashville, Tennessee. Retrieved 20 October 2015. ^ "Team behind The Mozart Project to headline the iBooks Author Conference in October". talkingnewmedia.com. Retrieved 19 October 2015. ^ The Mozart Project co-creators headline the iBooks Author Conference. YouTube. 16 August 2015. Retrieved 20 October 2015.